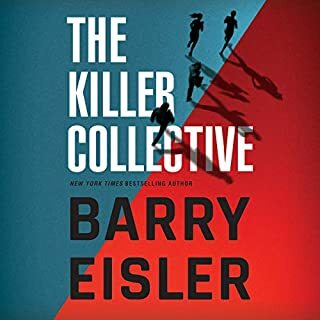 Barry is an exceptional author who is one of the very, very few who is also a rare excellent narrator of his own work. Had to stop in the middle of this one to just say that. Am always impressed!! 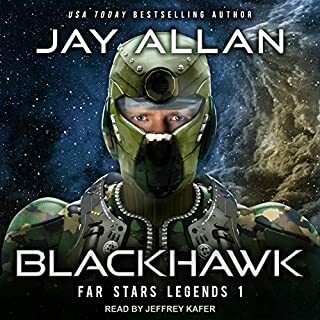 Would you try another book from Jay Allan and/or Jeffrey Kafer? NO!! too much repeated character detail - over and over and over! Jeffrey Kafer always does a good job. If you could play editor, what scene or scenes would you have cut from Blackhawk? MOST OF IT.... HE HAD A GOOD STORY LINE BUT CHARACTER DETAIL REPEATED OVER, OVER, OVER AND OVER KILLED IT. Fantastically fun read - can't wait for more! 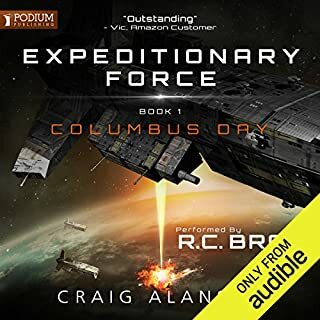 In the year 2280, an alien fleet stole our Earth. For 50 years they hunted us. For 50 years they enslaved us. For 50 years we lived in fear. Nothing lasts forever. They can try to quell us. They can try to break us. They can chase us to the ends of the Earth. They can chase us to the ends of the universe. We've won our first battle. We've earned our first taste of hope. What was theirs will soon be ours. We are the rebellion. Our story continues. 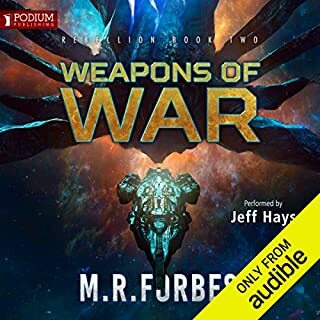 Where does Weapons of War rank among all the audiobooks you’ve listened to so far? What was one of the most memorable moments of Weapons of War? each where characters over come and understand their differences. 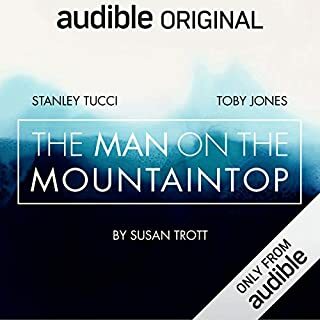 Bob Pope, the director of an American secret intelligence antiterrorist program, loses contact with his most trusted operative, navy master chief Gil Shannon, fearing him dead when a mission to take out a Swiss banker who is channeling funds to Muslim extremists goes awry. 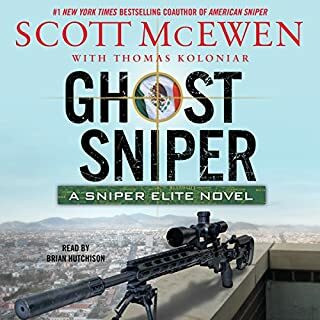 But when an American politician and her convoy are assassinated in Mexico City by the Ghost Sniper - an American ex-military gunman for hire employed by Mexico's most ruthless drug cartel - Pope must turn to retired Navy SEAL Daniel Crosswhite and the newest Sniper Elite hero. Pay no attention to 1 star review! What made the experience of listening to Ghost Sniper the most enjoyable? My chance reading of the first book - straight thru - prompted me to purchase and read the next three from beginning to end. Yes, the language is a bit ruff - but not out of character. 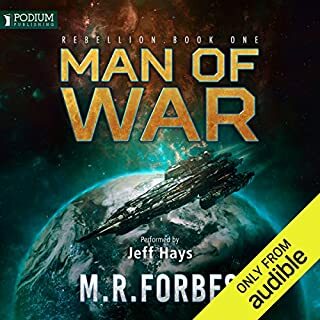 Armament technical info not my thing, but because of the other threads of info/plot and incredible character development together with the fast but excellent pace, I will be looking forward to next one. 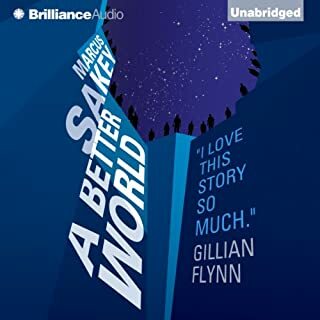 Set in a near-future LA, a man falls in love with a beautiful android - but when she is kidnapped and sold piecemeal on the black market, he must track down her parts to put her back together. 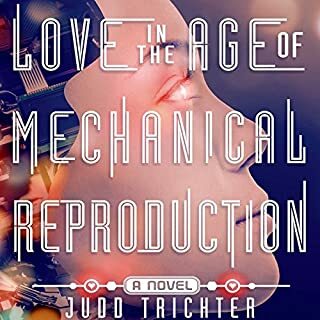 Would you consider the audio edition of Love in the Age of Mechanical Reproduction to be better than the print version? What other book might you compare Love in the Age of Mechanical Reproduction to and why? 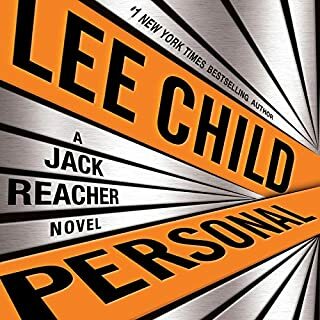 What would have made Personal better? Nic Cooper of course and Shannon. Cooper for his dedication to truth, family and America - Shannon because her heart and mind were open enough to discover the truth and act with determination and for humanity and America. Cooper's conflict, basis and decision to release video and subsequent evaluation, reflection, dialog. would like to know more about author.